Reconfiguration & refurbishment of existing live/work unit in a converted industrial building. The project provides living & studio spaces within a single volume, & a new enclosed washroom with a separate WC for the studio. Conceptually the space is designed to be very informal in character and capable of accommodating future amendments. 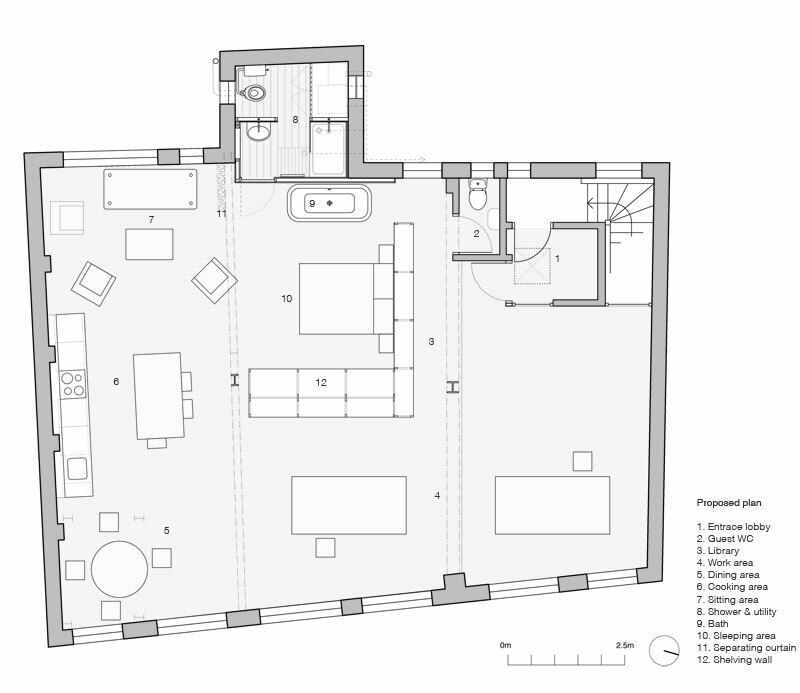 The different functions are arranged in order of privacy around the space, with the entrance opening into the studio work area, through the library, dining, kitchen & sitting areas; culminating with the bedroom & washroom. An “L” shaped layout of full height industrial shelving divides the space into separate areas whilst providing integrated storage for each part. 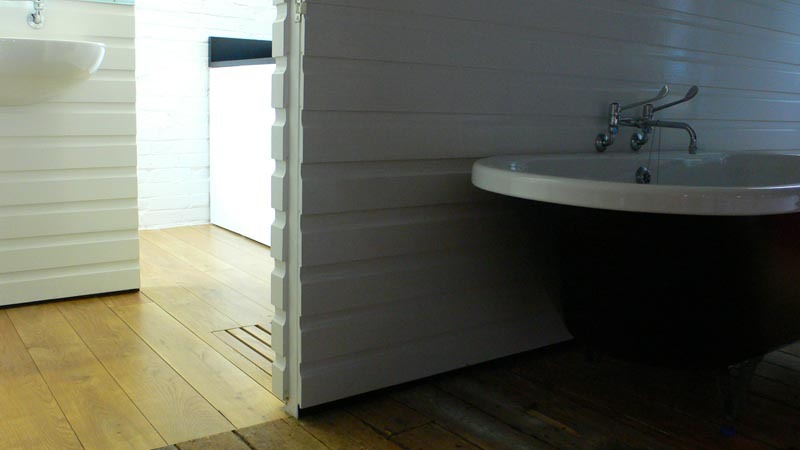 The new washroom located in the protruding bay is clad in gloss painted timber shiplap boards inside & out, contrasting with the existing brick walls to highlight the additive nature of this element. A large floor-to-ceiling curtain provides potential for total privacy in the living area from the studio, as well as the bedroom from the living area.